Refinancing a home loan can save you big every month, but watch out for some of the costly fees that come with that lower interest rate. The less you pay for closing costs and lending fees, the more money you will have saved for other important things. It certainly doesn’t hurt to attempt to have your fees and closing costs waived or reduced. Why wouldn’t you at least try and negotiate fees when refinancing your home? Certainly no loan-officer would ever fault you for trying. Learning which fees are negotiable on a home refinance loan is essential to minimizing closing costs. Think of it this way, every dollar your save on closing costs and refinance fees, you can put in the bank or spend on something you want. You certainly have nothing to lose by negotiating home refinance closing costs with your lender or bank representative. You may even qualify for a refinance mortgage with no closing costs. Any time you get a new mortgage or refinance an existing one, you will incur new fees. Many homeowners only think about the lower rate they will enjoy with their new mortgage and not about the thousands in fees you may have to cough up. You should know going into the deal about all of the fees that you are likely to pay. Generally, you will pay about 1.5% of your loan amount in closing costs on a typical home refinance, but there may be room to negotiate. Once you know what all of the proposed fees are on your home refinance, we recommend that you try to negotiate them down when possible. A typical fee for applying for a mortgage will be between $250 to $300. If you see a fee that is well above that amount, we recommend that you ask for a price break. If other lenders charge $250, why should you pay $400? Lenders nearly always require you to have a new appraisal to determine if the value of the home justifies the mortgage you are getting. You should expect an appraisal fee of $300 to $600. The outcome of the appraisal often determines if it is worth to home refinance and whether the lender or banker will green light the loan. If your appraisal reveals that the value of the home is lower, you might have to put more money down. If the fee is higher than $600, you should ask that it be reduced. The typical appraisal cost is usually $400 most often, so see if you can get a price break. This is usually 1% of the loan amount. If you are refinancing a $200,000 mortgage, the origination fee will be $2,000 or so. You may be able to negotiate this fee down with the Good Faith Estimate that the lender is required to give you. Most lenders will charge you a documentation fee of as much as $500. This type of fee is really used to get the borrower to pay for the administrative costs associated with doing a mortgage-refinance loan. 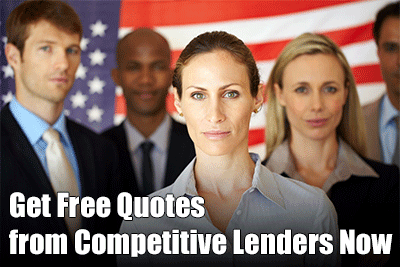 We agree that lenders need to make money, but it worth trying to see if you can get them to reduce or waive this fee. Before the lender will approve your refinance, they usually require a title search to make sure there are no tax liens or other encumbrances with the title. This will cost up to $400, and we think you should try to get it cut to $300 or less. The lender and homeowner must usually have title insurance to ensure there are no problems or mistakes with the title transfer. This may be as much as $800, and again, you should try to get a price break to $600 or so. Your city or county may have a recording fee for noting the sale or the home refinance and handling the associated paperwork. This can be as much as $250. You may not be able to negotiate this fee because it is a government fee, but it is worth a shot. The lender will probably charge you to review your credit report from the three major credit bureaus. This might be as much as $65 for a married couple or individually. If you are getting charged individually, you should try to get this fee cut. As you shop for your refinance, you might notice ‘no closing cost’ refinances out there. This means that the costs of refinancing the loan are either going to be wrapped into your loan amount, or you will pay a slightly higher interest rate on your mortgage. There is nothing wrong with getting a no-closing cost refinance. This can save you some up front costs that you may want to not pay right now. Just know that nothing is free in life; if you are not paying for closing costs up front, you are paying them during the life of the loan. Finding a bad-credit refinance mortgage with no closing costs is extremely rare, even in today’s competitive lending environment. Knowing when to refinance can real save you money if you time it right. 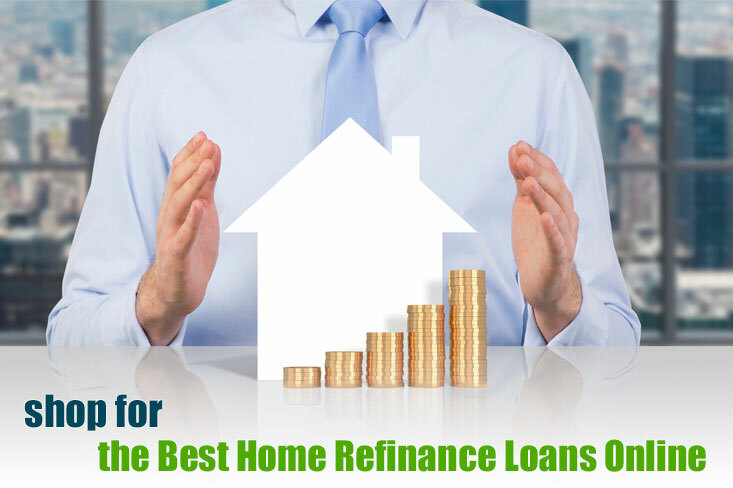 Many people find that they can shave $50, $100 or even $200 off their monthly payment if they are able to get a home refinance a loan for .5% or 1% less than their current rate. But as you consider refinancing, you should carefully go through all of the fees that will be assessed. See if you can get any of them reduced. Saving a few hundred dollars out of pocket could make your refinance experience that much sweeter.